San Diego Comic-Con 2018 ended Sunday as workers stripped the branding off the buildings, windows, buses, elevators, escalators and every other square inch of open space in the city's Gaslamp District. Weary attendees squeezed in one last thing before heading home with bags of merchandise, sore feet, some sunburns and fewer dollars in their bank accounts. Riz Ahmed, who shattered glass ceilings as the first Asian man to win an acting Emmy, is celebrating fellow trailblazer Sandra Oh. 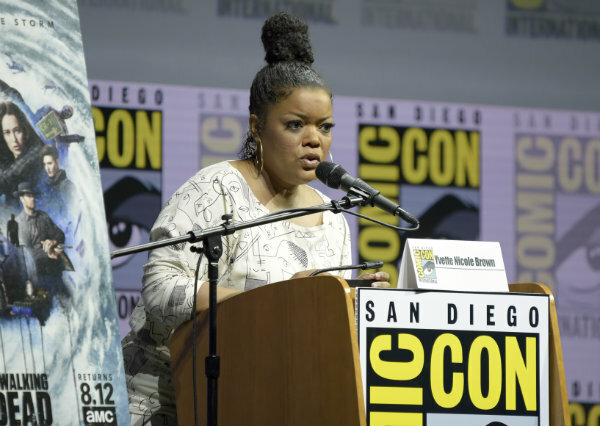 From "Black Panther" to Batman, "Stranger Things" to "Blade Runner 2049," and "Ready Player One" to Rep. John Lewis, Comic-Con had something for almost every pop-culture appetite.